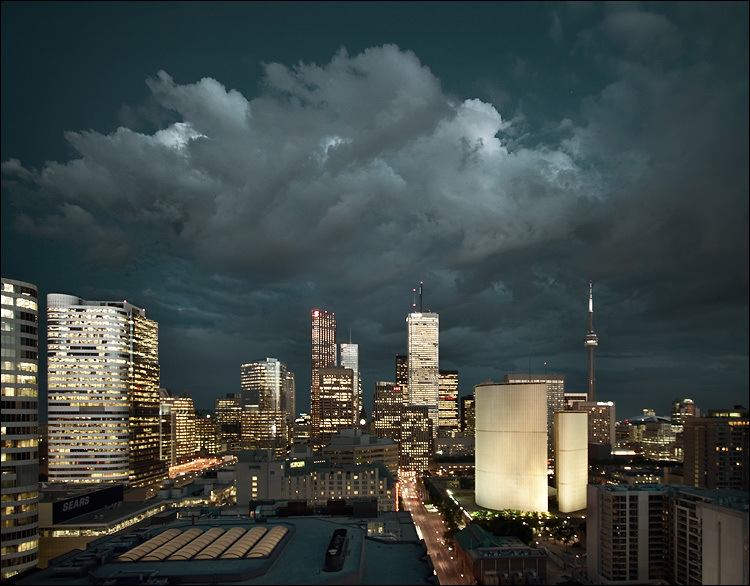 some interesting clouds were hovering above toronto last night. and here's a presentation for whoever is interested to see the photo before and after post processing. you need flash installed to see this. just move your mouse over the image below. this image was made with only one exposure and the post processing involves various adjustment layers including channel mixer, curves and selective dodging and burning in photoshop.